Finishing work takes so much longer while it is happening then you ever think it will. The floors are done (all but a small patch upstairs that is waiting for another box of lumber). The bathrooms are mostly done. The electrical finishing work is almost done. The appliances are almost all in, (just the fridge and the propane to go for the range). Here are some pictures of what is new this week. Here are some of the light fixtures I picked up with mom last week. The kitchen is nearly there. They a putting the grout in the back splash today. Mom picked out the pattern for the tiles. It looks like something a quilter would do. 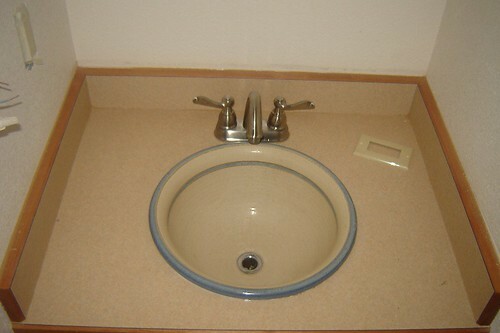 Do you recognize this sink? Joe made this sink for mom and dad when we moved to Missouri about 25 years ago. We have all loved it. Mom and I realized the other day that it was going to be left behind which was really disappointing to mom. So.... 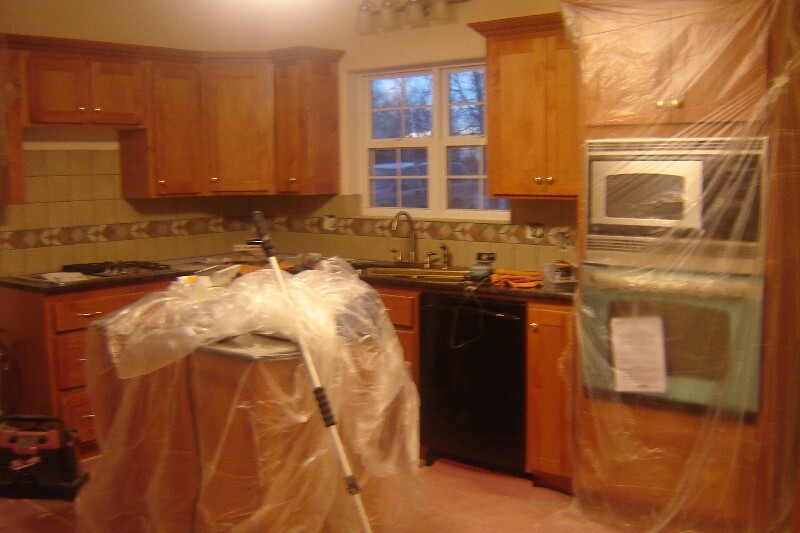 I talked to the cabinet maker and Eric, the contractor, and worked out a deal to get it moved over. They installed it yesterday and it looks and works wonderfully. Mom gets to have her favorite sink too. This is the tile work for the bath tub. It is pretty cool. 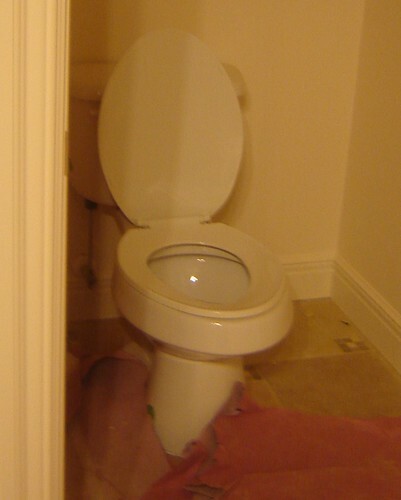 Proof that the toilets are in. 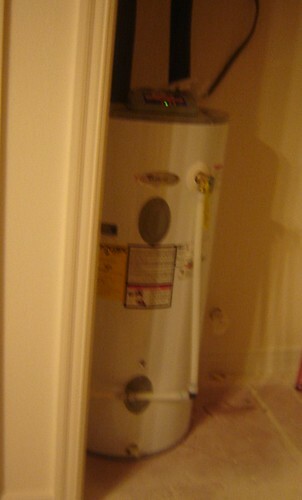 This wonderful machine means that there is running water in the house now and we can do laundry again. We have been without that ability for a little while. 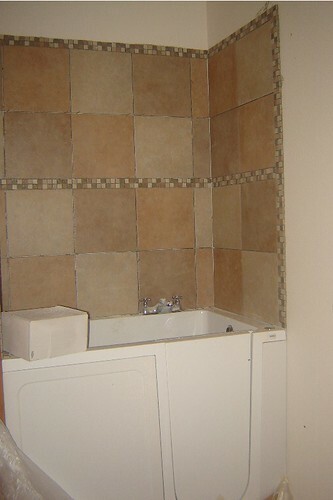 There will be more pictures of the Laundry room as soon as they have it painted and ready to show. The PROJECTED DATE!!!! We hope to have mom moved in by the end of next week at the latest. Kathie will be here to put her seal of approval on the project then so she will be able to give us a report of how it all looks! I hope we pass mustard.